In the late 90’s, Steve Raybine received some great encouragement from Rick Braun, his friend and former bandmate in the critically-acclaimed 70’s progressive jazz ensemble, Auracle. A longtime fan of the veteran vibraphone master and percussionist, the Smooth Jazz superstar suggested, “Why don’t you try to do for vibes what I’ve done with the trumpet?” Embracing Braun’s challenge, Raybine, a longtime music educator who was head of the jazz program at the University of Nebraska-Omaha at the time, has made it his mission since the release of his 2000 debut album Balance Act to make the vibes the centerpiece of a fresh contemporary sound within the genre – a dynamic alternative to the plethora of sax, guitar and keyboard artists. The Wisconsin bred, Omaha-based composer and performer continues his inspiring quest with his most infectious, spirited and sophisticated tunes yet on Cool Vibes, a soulful, tropical- tinged collection whose 15 tracks explore Raybine’s lifelong passions for jazz, R&B, Latin, pop/rock and blues. One of its key tracks taps into his equal love for “Coffee and Jazz,” complete with a rap performed by the artist himself. A talented abstract expressionist digital artist, Raybine’s fractal geometric designs are interwoven into the CD’s colorful artwork. Raybine’s previous collection before Cool Vibes was 2009’s In the Driver’s Seat, whose three singles (including a cover of Bobby Caldwell’s classic “What You Won’t Do For Love”) were spun on over 150 terrestrial radio stations, satellite radio networks and internet stations in the U.S. and Europe. All three of Raybine’s earlier works were prominently featured on smoothjazz.com. This across-the-board success on radio has driven a passionate fan base and headlining performance slots at many prominent festivals, including the Genuine Jazz Festival in Breckenridge, CO; Jazz on the Green in Ft Myers, FL; the Sioux Falls Jazz and Blues Festival; Omaha Riverfront Jazz and Blues Festival; and Jazz on the Green in Omaha, NE. In addition to being a successful recording artist and solo performer, Raybine has enjoyed a fascinating, multi-faceted career as a studio and freelance musician with numerous legends, and as a renowned music educator, clinician and mentor. As co-founder, co-musical director, and composer/performer with Auracle – formed during his days as a student at the Eastman School of Music, where he received his undergrad degree in percussion performance, he toured the U.S. and Europe and released two albums on Chrysalis Records. During his eight-year tenure with the band, Raybine played at the Montreux Jazz Festival, Frankfurt Jazz Festival and Sopot Jazz Festival in Poland. As a Los Angeles-based studio percussionist in the 70’s, he played on episodic and commercial TV soundtracks for MGM, Universal and Paramount studios, and was affiliated with ATV Publishing Corporation. His freelance performance credits include Dave Brubeck, Dizzy Gillespie, Rick Braun, Michael Feinstein, Karrin Allyson, Jack Jones, Roger Williams, Ndugu Chancler and Ed Shaughnessy. Raybine has also opened for Stanley Jordan and played with local and regional orchestras. 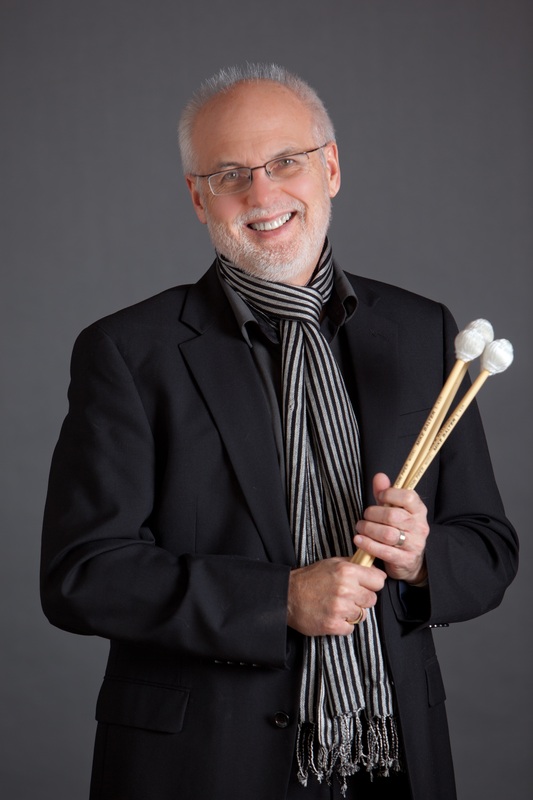 He is also a BMI composer and an artist and clinician with Ludwig/Musser; he is also sponsored by Mike Balter Mallets. Beyond recording and performing, the greatest passion of Raybine’s life has been teaching music, including 10 years as an instructor and coordinator of jazz studies and percussion at the University of Nebraska-Omaha. In 1997, he received Jazz Educator of the Year Award for the State of Nebraska from the National Band Association, and his lectures and performances were featured on Nebraska Public Radio and Nebraska Educational Television. For the past 16 years, Raybine – who has a Doctor of Musical Arts degree (DMA) from the University of Iowa, has built a thriving home studio-teaching business, instructing and mentoring 40-50 music students of all ages (K-12 and college) per week. He teaches classical and jazz piano; drums (specifically, drumset); vibraphone; songwriting skills; contemporary pop piano-vocal stylings and jazz improvisation. For more information on this extraordinary musician, artist and educator, please visit www.steveraybine.com. He can be reached via Twitter at both @BadKatCafe (43,000 followers) and @Music4LifeLLC (9,000 followers), and on Facebook at Steve Raybine. Raybine’s music is sold online on iTunes, Amazon and CD BABY, and is available on Pandora Radio.